Budget.go.ug is committed to giving Ugandan citizens access to timely and accurate budget information, and real opportunities to participate in government budget processes. You can learn about the Budget process on the Budget Basics pages. 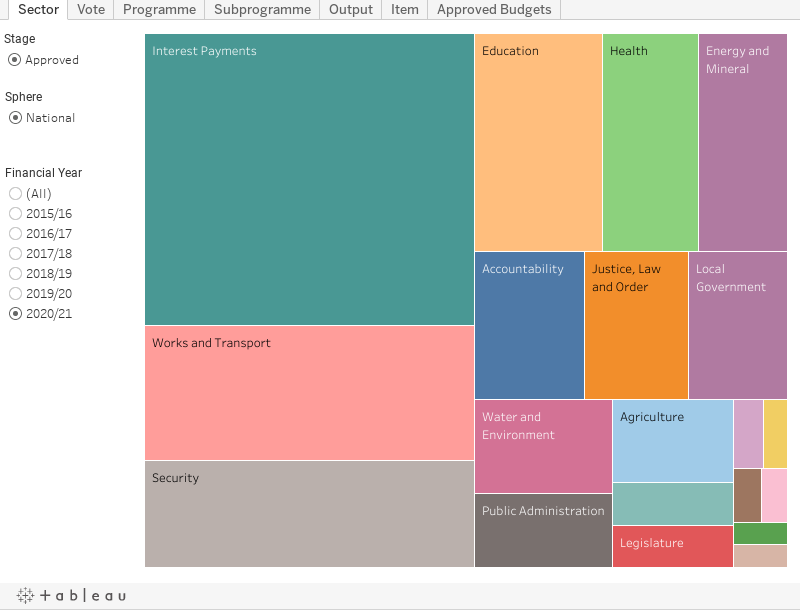 You can access and download budget and expenditure data through the Budget Dashboard. You can access published government documents through the Budget Library. Please use the below tool to visit your Local Government or a Government Agency of interest. Review their budget and expenditure data and documents and leave feedback on the page. You can also provide feedback via email – budget@finance.go.ug – or by calling the FREE budget hotline – 0800 229 229. Use the below menu to select your Local Government and view all their publications, and available budget and expenditure data. Then please give your feedback. Use the below menu to select your National Government Vote and view all their publications, and available budget and expenditure data. Then please give your feedback. Hospital and University information can be accessed here. The National Budget Framework Paper has been published and your ideas and contributions will now feed into the Draft Budget for 2019/20. Use this tool to understand and explore your budget – the size of each coloured circle represents the size of the budget for that sector. Click Budget Dashboard for even more information! Use this tool to understand and explore your Local Government budget. Click Budget Dashboard for even more information! Use this tool to understand and explore the budgets received by your Facilities. Click Budget Dashboard for even more information! In Kira Town Council, we have been having an issue of an access road from Kasangati to Kira, rumor has it that this road is supposed to be turmaced but in vain, so many people use this road but i wonder why we still have such roads in towns, its so absurd to not get value for our taxes. There are schools along this road e.g Green-hill Academy but these children are always down with flu and cough because of too much dust. Kindly allocate funds for this road. Unable to find/access the Electronic copy of the Approved NBFP for FY 2019/2020 on both Websites: www.finance.go.ug; and www.budget.go.ug mentioned in the Second Budget Call Circular on Finalization of Budget Estimates and MPS for FY 2019/2020. We, residual salary arrears claimants of Nwoya DLG have not been paid from the time funds for the same were released in October 2018. I (we) require answers to the following questions: 1. With all the instructions in the circulars released by the MoFPED about residual salary arrears why has Nwoya DLG not effected payment? 2. If it is true, as alleged by some district officials that they do not have the list of claimants to pay, how can MoFPED release UGX 215 million without having a list of people to be cleared using that amount of money? How was that figure arrived at? 3. Why hasn’t MoFPED stuck to the circular dated 12 December 2018 that warned MDAs that received money for clearing residual salary arrears and had not effected payment to the effect that their activities for Q3 will be frozen on the IFMS until they make payments to residual salary arrears claimants? 4. When are we, residual salary arrears claimants of Nwoya DLG going to be paid, and I also do propose the following: 1.	that interest should be charged on residual or any salary arrears from the time it is due until when it is paid in full to factor in the loss in value of money. 2. Officials responsible for this delay in payments should be made to account. This is because service delivery is grossly affected in the process. The Minister presents the National Budget during the second week of June. The Uganda Revenue Authority assesses, collects and accounts for Central Government Tax and Non-Tax Revenues. The Open Budget Survey assesses budget transparency based on the amount and timeliness of budget information governments are making publicly available. KABERAMAIDO MUST LOOK LIKE ATOWN.Why not? ABOUT THE SOROTI KABERAMAIDO HIGHWAY? 1. (a)Plan also for pre-primary education in order for our NRM party to achieve its education millenium goals. Private schools perform better due to the presence of pre-primary sections. (b)Taking up pre-primary education can also help to reduce the current challenge of unemployment. Thank you for this democratic strategy, "FOR GOD AND MY COUNTRY''. 1.It's my request that kabarole district's budget should be approved after verifying wheather it's not under estimated, to avoid the current challenge of unequal salary payment especially to primary sch. trs. E.g a tr. Earns a gross pay of ugx.480,000 and another ugx. 514,000 yet all are at the same rank. When we ask, the officials reply that the budget was under estimated. Therefore, to maximise motivation and equal treatment kindly intervene. 2.Governt's plan to introduce and finance Pre-primary education in order to realise good results in primary schools should be implemented for our NRM party to register a golden achievement in education. Pre-primary education's a basis for good performance in the private education sector.